The Oberland has also several via ferratas to offer. 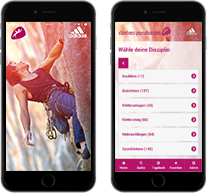 You can either start in Arzl or at the Pitztaler Gletscher climbing park. Pitztaler Gletscher climbing park: This via ferrata has four variations: there is one for beginners and children (“Erlebnissteig”-variation) and one more challenging one for experienced climbers and children older than 10 (“Murmeltier”-variation). There is the the “Gamssteig”-variation which serves as preparation for harder routes and finally, the difficult “Steinbock”-variation. The panorama view on top onto Tirol’s highest glacier is amazing and absolute worthwhile! Steinwand Arzl via ferrata: The Steinwand Arzl via ferrata is located at the beginning of the Pitztal valley. There are several variations which merge at the top. The descent hike is easy and the route is also recommended to family with children.